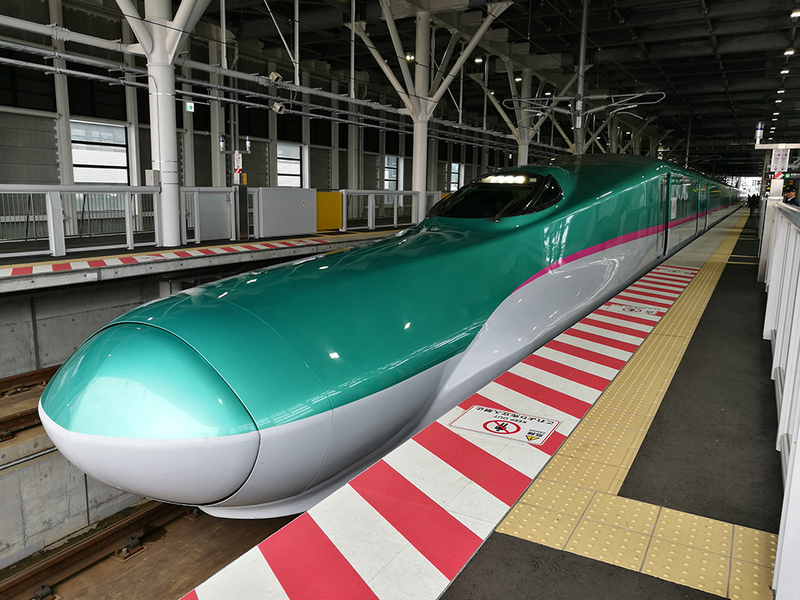 Our latest trip took a total of 10 days and 2 of them were literally spent inside different types of shinkansen to get to Sapporo and Fukuoka from Tokyo. 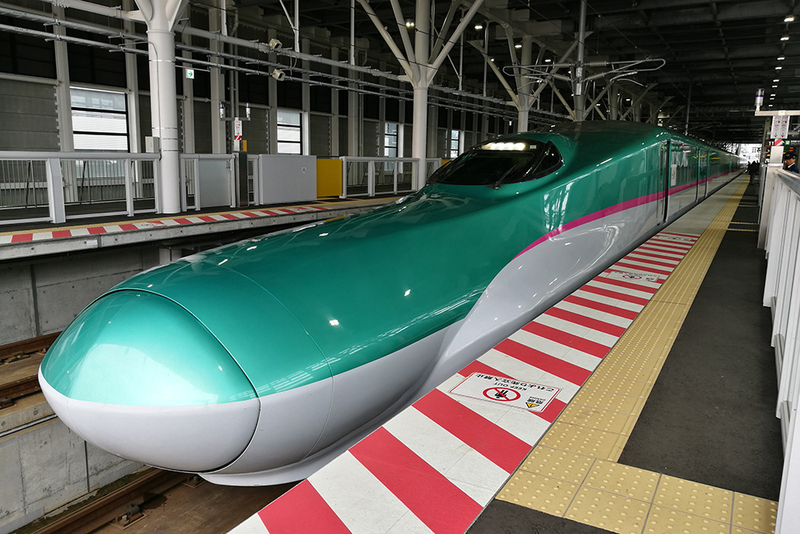 The photo you see above is the latest train to be added to the list of many bullet trains in Japan and it is called the Hokkaido Shinkansen. This train takes you from JR Tokyo to Shin-Hakodate-Hokuto station in approximately 4 hours. 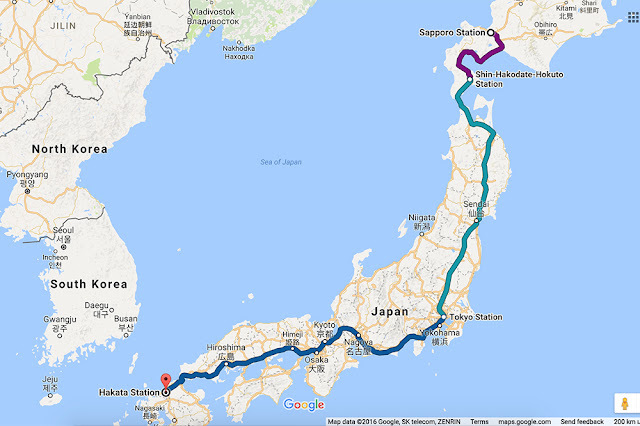 But from Shin-Hakodate, you need to transfer again to another train to get to Sapporo and it takes another 4 hours. So how was the experience like? F-U-N! Here's our itinerary as mentioned in my previous post. I know there's an option to just hop on a plane and fly to northern or southern Japan but where's the fun in that?! Naddaaa. 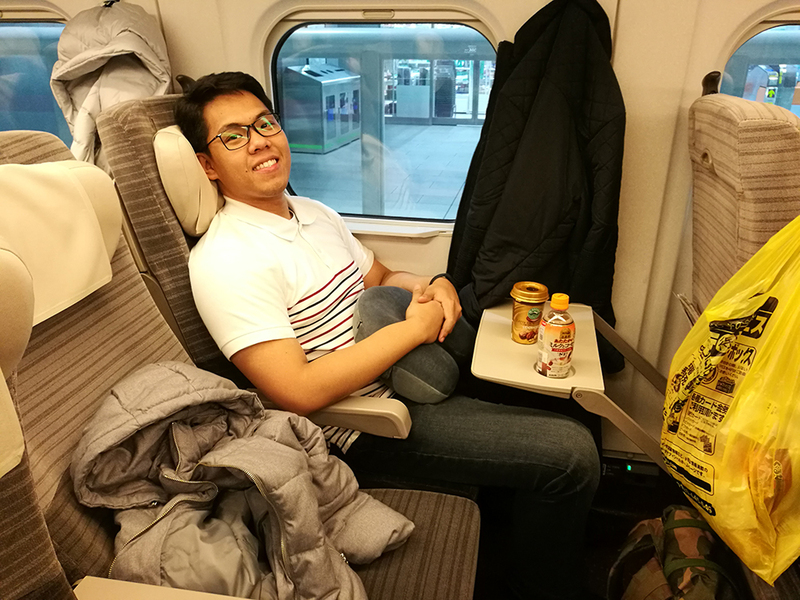 Riding the shinkansen will always be a fun experience and I'm loving the vibe on this new train. 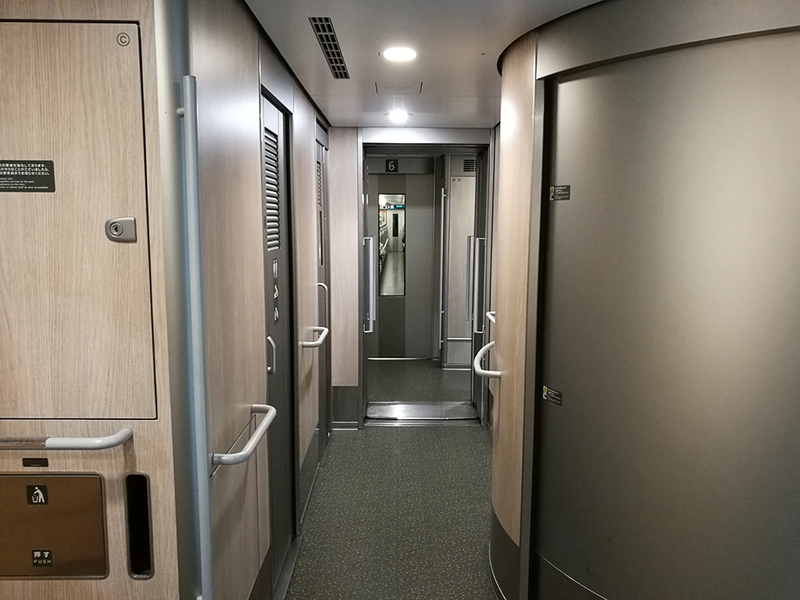 The train feels very much new since it was launched last March 2016. And did I mention spacious too? So how does one survive almost 10 hours inside the train? Snacks of course! Load up! Haha. 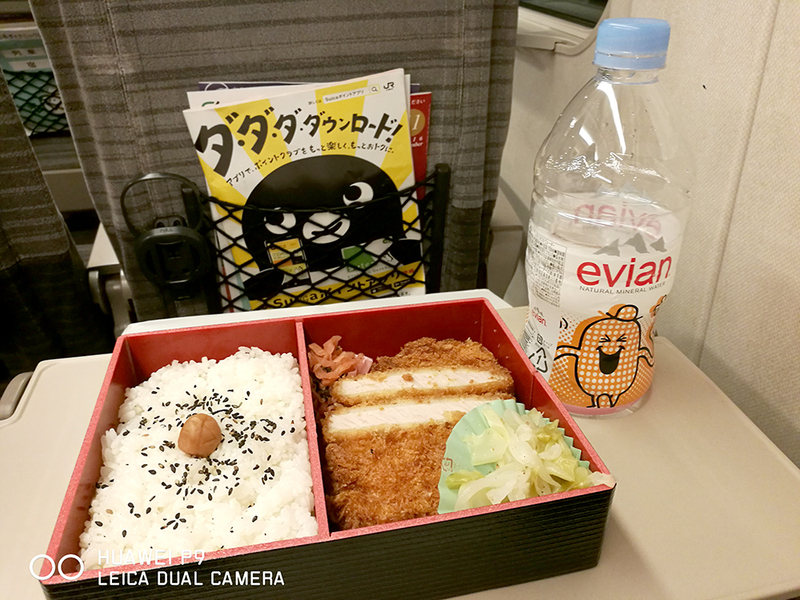 It is best to buy food in train stations (better if you get it outside the station since it's cheaper) instead of buying one inside the train. My usual meal? Tonkatsu with rice siyempre! Here's my boyfriend looking very comfortable in his seat. See the grocery bag on the right? ;) It's our survival bag filled with Japanese food from the grocery. It's a hassle to carry excess baggage but trust us, you'll need food to survive. HAHA. It may sound crazy but yes, I finally did it! 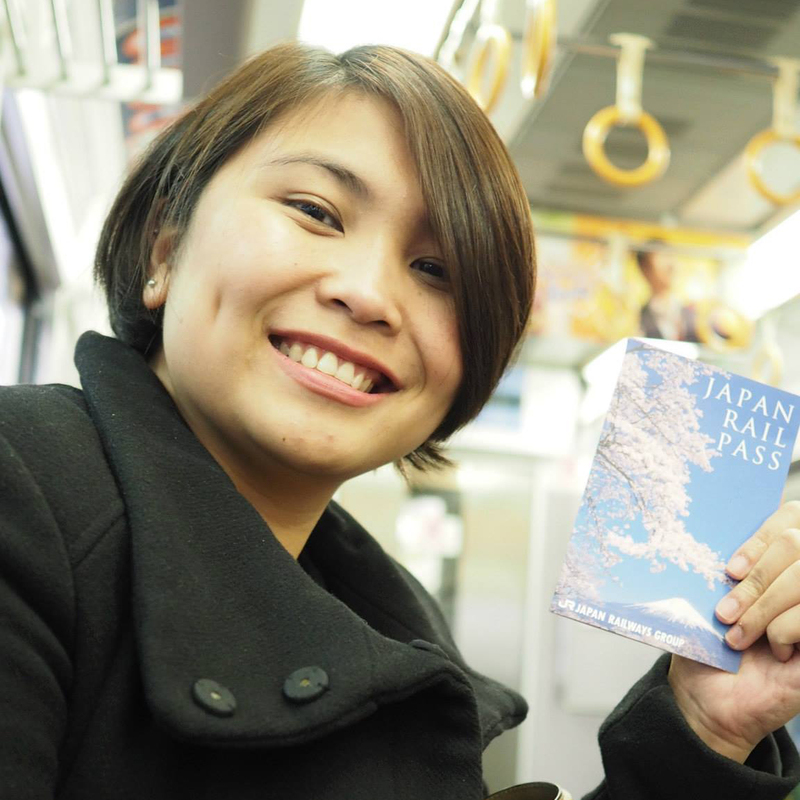 I just came back from Japan where I took advantage of my 1-week JR Pass and went to Sapporo, Tokyo, and Fukuoka. 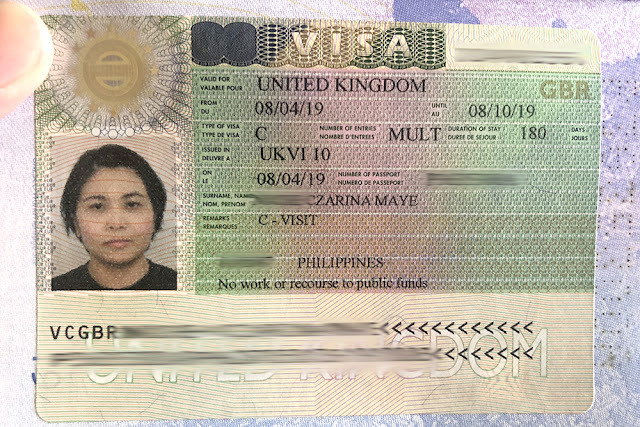 Before, we used to buy our passes from Japan-Rail-Pass.com (London-based travel agency), but now we prefer buying direct from Attic Tours here in Manila. The rate of the JR Pass depends on the forex so by the time we got our 1-week JR Pass, it already costs us ₱13,682 (per pax). To know more about the JR Pass click here. Our point of entry was in Tokyo via Narita Airport. 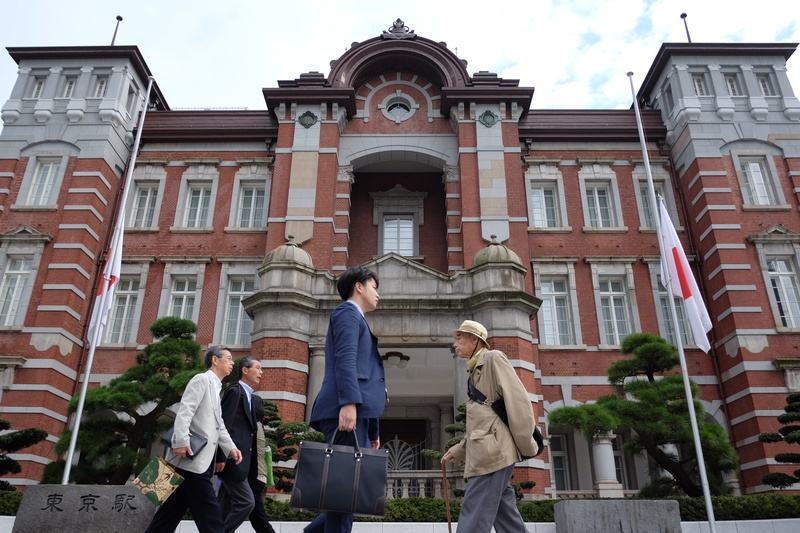 This was also my first time to see the beautiful facade of Tokyo Station. Halloween is always fun in Tokyo and I'm glad my fiancé agreed to stay here for a couple of days. For our accommodation in Tokyo, we stayed with my cousin so obviously, we did not have to pay anything for that. 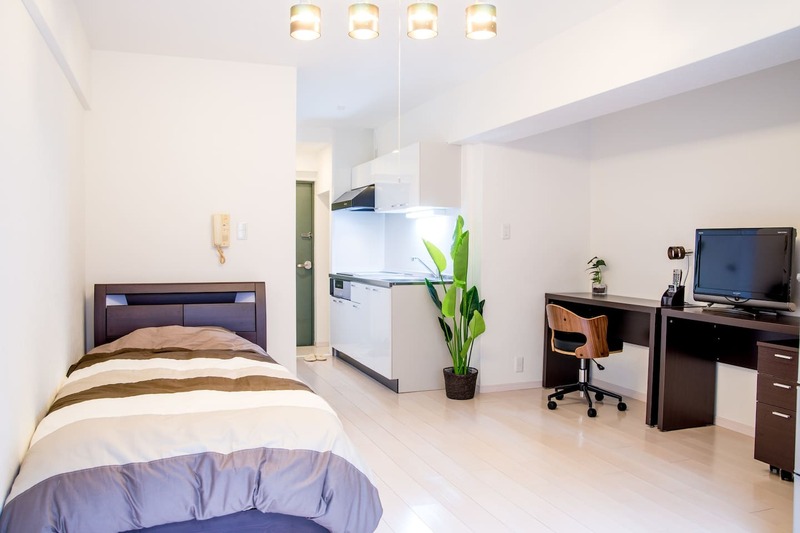 But based on our previous trips, you can find a decent Airbnb in Tokyo CBD for ₱3,500 per night. 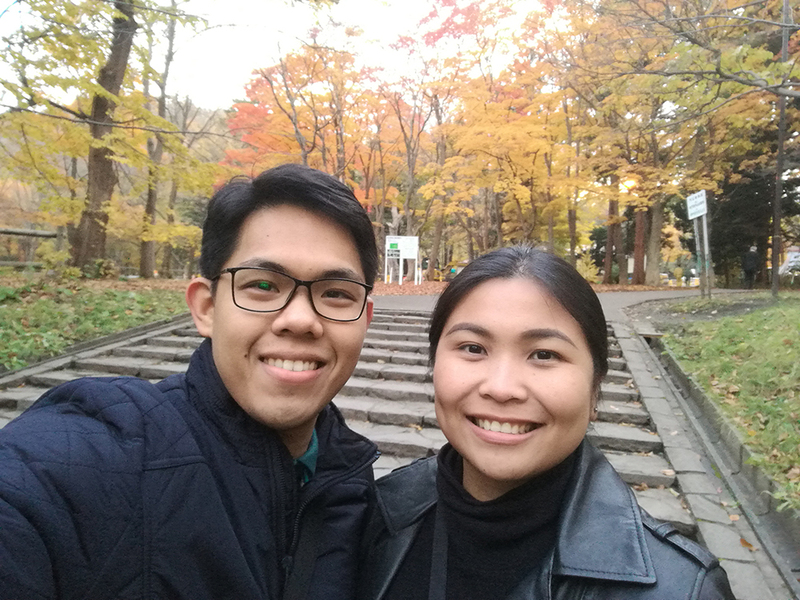 For the benefit of this blog post let's just say we spent ₱10,500 for our 3-night stay in Tokyo. 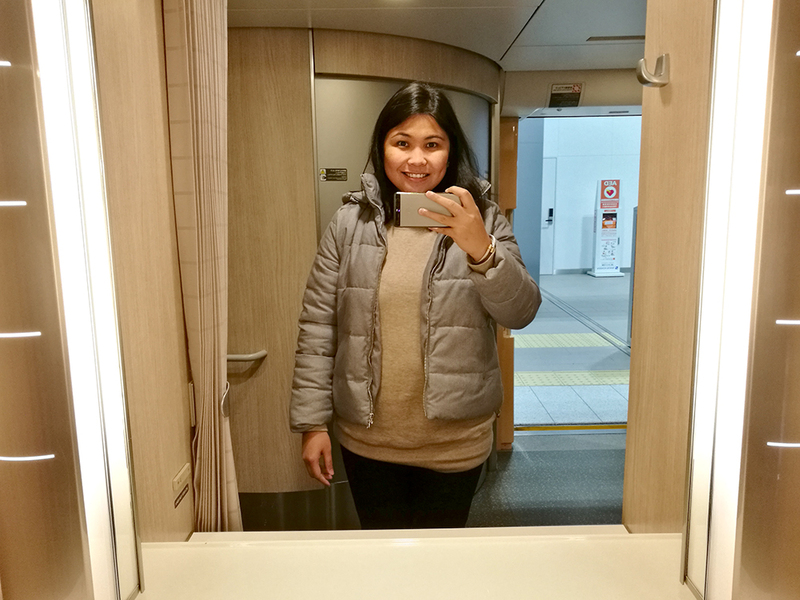 The real adventure started on November 1 when we had to leave Tokyo for Sapporo. This video was taken around 8:20AM and was uploaded on The Travel Junkie Facebook page. Our estimated time of arrival in Sapporo Station was around 5:30PM but there was a bit of a delay (SURPRISINGLY!) and we arrived at our final destination (which was our Airbnb) around 7:30PM. Our Airbnb was located in the red light district of Susukino in Sapporo, you may read the review here. We stayed here for another 3 nights for a total of ₱11,200. Sapporo is beautiful but I'm gonna reserve photos for another post so watch out for that. November 4: We checked out early just to make it in time for our 6:00AM trip going back to Tokyo. This one was quite memorable since we had to take a cab to get to the station. We never ride taxi's in Japan 'coz we know it is expensive. If I'm not mistaken we paid around ¥800 for a trip that only took like 5 mins. HAHA. We actually have the option to walk but it was freezing cold outside and it's been raining during our stay. Better safe than sorry folks! 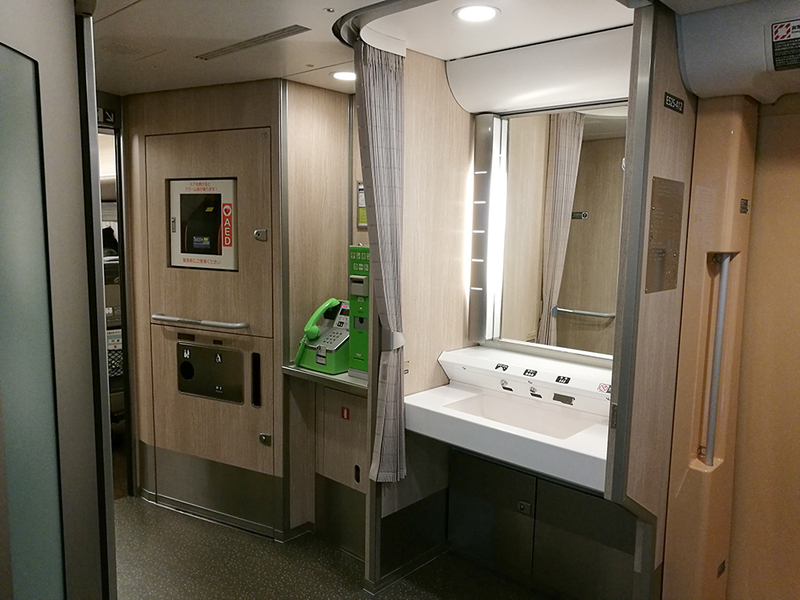 TIP: Save time by getting reserved shinkansen tickets at least a day before the trip. By 2:30PM we finally arrived in Tokyo and here's a selfie before riding another train that will bring us to Osaka. You really need a ton of patience if you want to experience this kind of trip! Haha. Here's another video but this time from Osaka Station. If I'm not mistaken this was around 6:30PM and we had to transfer to another train for one last time before reaching Fukuoka Station. The train you see above is called the Sakura Shinkansen. 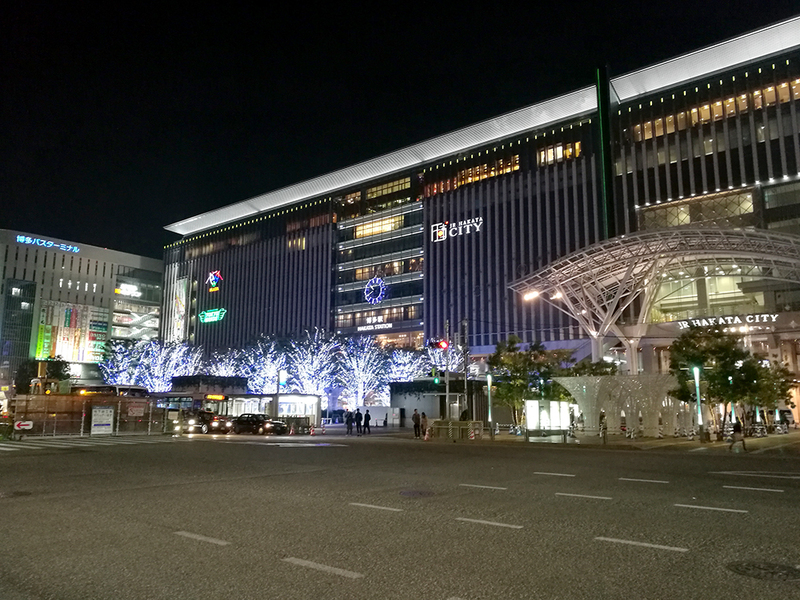 By 8:30PM we finally arrived at the Hakata Station in Fukuoka. You have no idea how happy I was to be finally walking around. LOL. I think the trip took almost 15 hours. We had to skip parts of central Japan since we've already been to Osaka, Kyoto, and Nagoya. Good thing our Airbnb was literally just 5 minutes away from Hakata station and was walking distance from nearby tourist spots. This one costs us ₱16,000 for 4 nights. Let's add up everything, shall we? 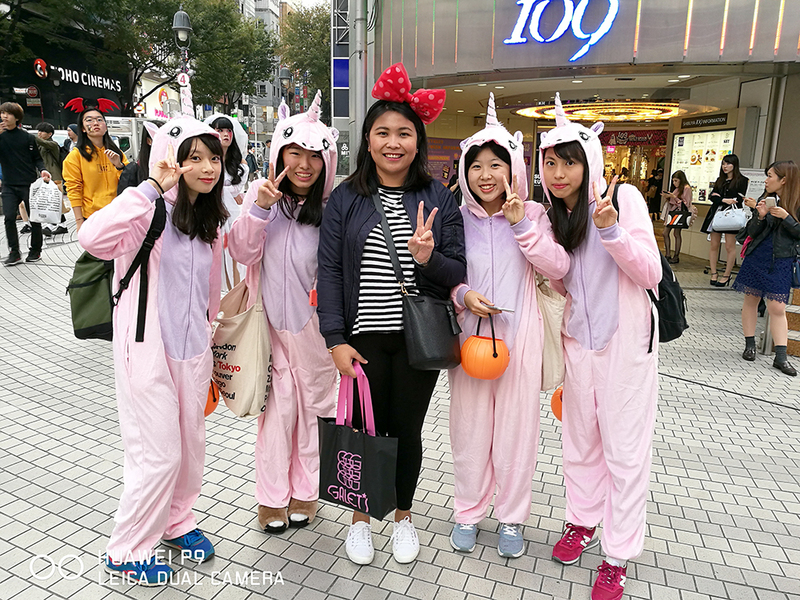 So ₱13,682 (JR Pass) + ₱10,500 ₱5,250 (Tokyo) + ₱11,200 ₱5,600 (Sapporo) + ₱16,000 ₱8,000 (Fukuoka) = ₱32,532 NOTE: Accommodation was divided to two since my boyfriend and I share all the expenses. Airfare and food not included in the computation. But to give you an estimate, we more or less spent ₱50,000 each if we will include food in the computation. This just goes to show that it is indeed possible to travel around Japan within that budget (or even lesser than that!) for 10 days. The best way to do so is to definitely book in advance. 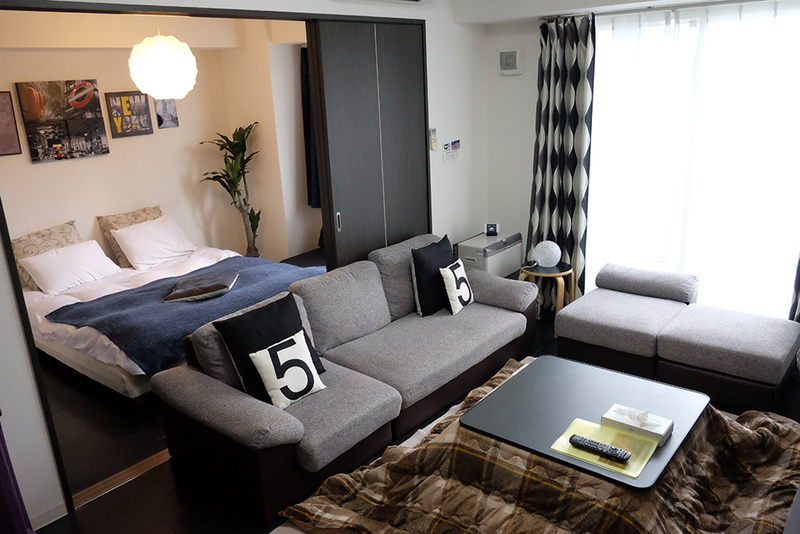 Our accommodations were actually booked while we were already in Japan so it was a bit expensive as expected. Overall, I think this was one of our most productive trips. 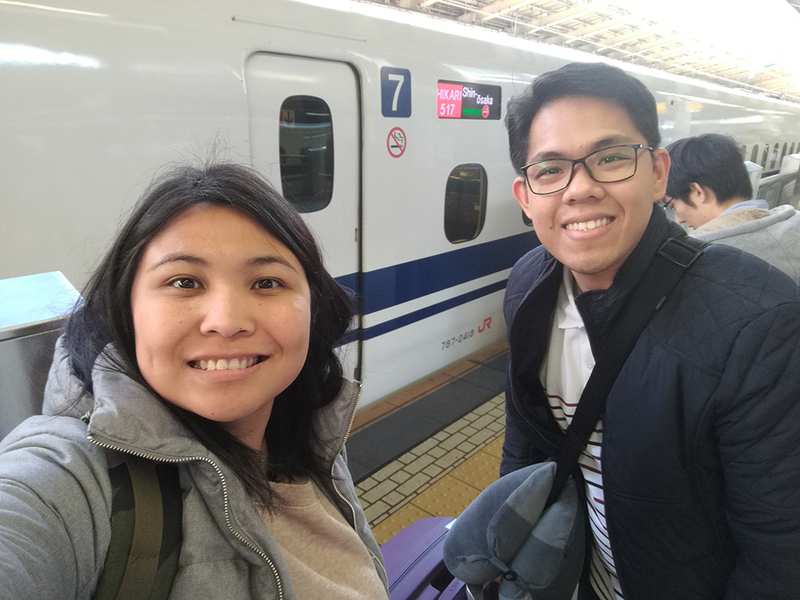 It might sound crazy at first (taking the train from Sapporo to Fukuoka) but it was actually fun hopping from one train to another. This type of trip is not for everyone but if you're feeling adventurous then I highly recommend that you go! Ohayou gozaimasu! I just got back from a trip to Japan (for the 3rd time this 2016!) but this time around I went to Sapporo. 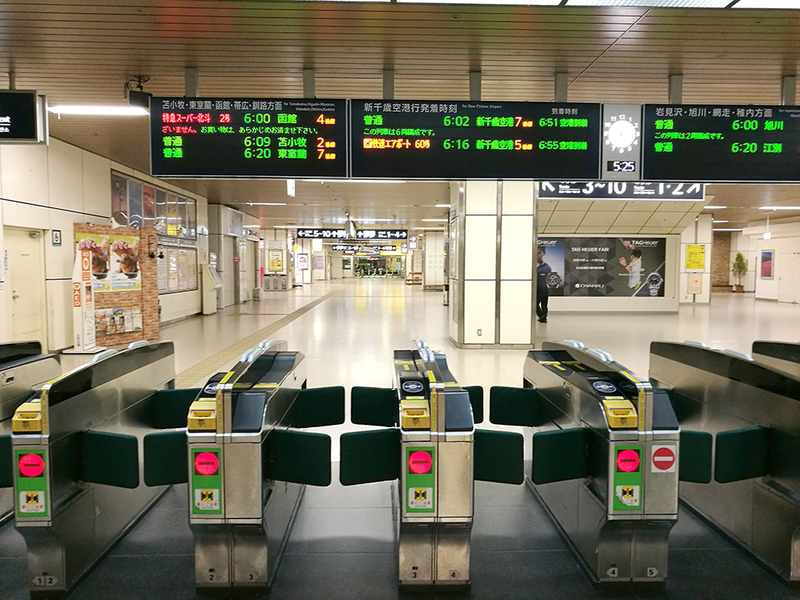 Check out our Airbnb which is just a minute away from Hosui-susukino Station. One of the many surprises that our Travel Blog Exchange (TBEX) familiarization tour has in store for us was actually our 2-nights stay in El Nido Resorts. El Nido Resorts is a group of luxury and sustainable island resorts in Palawan. They have a total of 4 resorts located in different islands around El Nido namely Apulit, Miniloc, Lagen, and Pangulasian. For this trip, we stayed at Lagen and Miniloc. 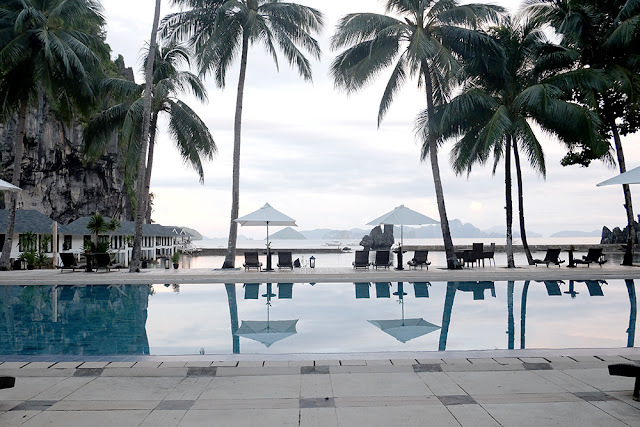 Let's start the hotel review with El Nido Resorts Lagen, shall we? Before heading straight to Tao's main basecamp, we made a quick stop at Cabuli Island to check out their project which is called the Tao Academy. 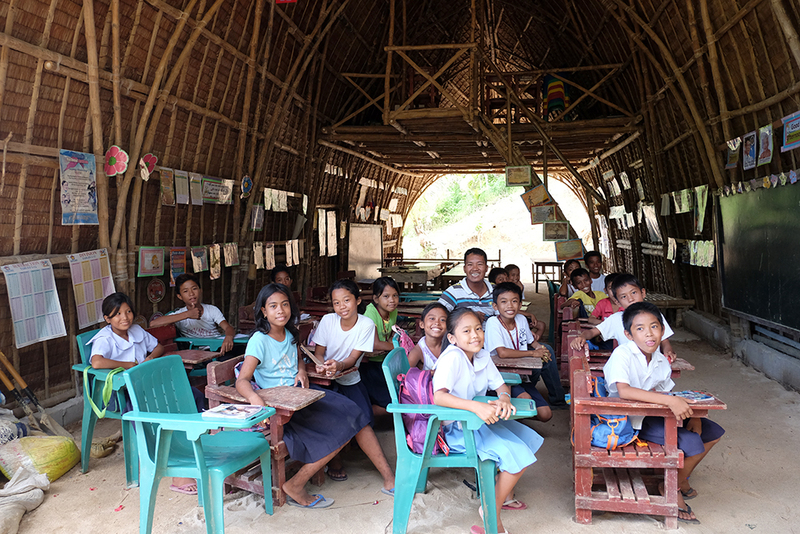 The learning center was made possible by the Tao Kalahi Foundation in cooperation with the families based in rural islands around El Nido, Palawan. Onboard the paraw is David Stock of Divergent Travelers, Anton Diaz of Our Awesome Planet and Jeff, our guide for our private Tao Expedition.